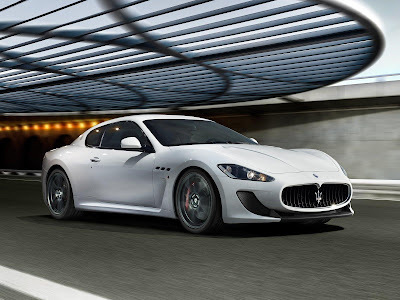 The new Maserati GranTurismo MC Stradale will be the fastest, lightest and most powerful car in the Maserati range when it goes on sale in the first quarter of 2011. Inspired by the Trofeo GranTurismo MC and the race-winning GT4 motorsport models, the Maserati GranTurismo MC Stradale will have more power, less weight, razor-sharp handling and a top speed of over 300 km/h. 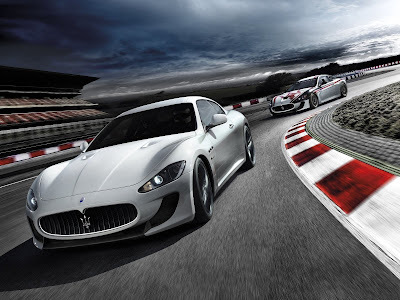 The Maserati GranTurismo MC Stradale responds to demands for a GranTurismo which can balance on-road driving needs with race-driving desires and it incorporates the handling and aerodynamic lessons from Maserati's three racing programs. 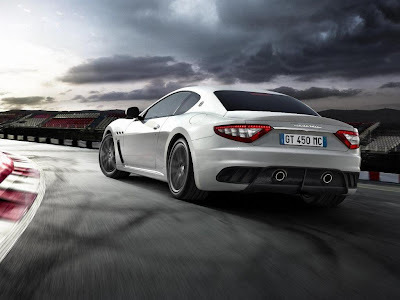 It produces more aerodynamic down force without producing more aerodynamic drag, it produces more power without using more fuel and it is more agile without sacrificing the GranTurismo S's highly praised ride quality. With 330kW (450 horsepower), the Maserati GranTurismo MC Stradale generates more power (7 kW, 10hp) from the 4.7-litre V8 engine than the GranTurismo S, while its 510Nm of torque is a further 20Nm improvement. Its race-bred heritage is highlighted by a 110kg weight reduction from the GranTurismo S, down to 1770kg. It mirrors Maserati's racing advantages by retaining an optimal 48 : 52 weight distribution, ensuring balanced handling and even tyre wear. The Maserati GranTurismo MC Stradale uses advanced electronics to cut gear-shift times from the upgraded MC Race Shift electro-actuated transaxle gearbox to just 60 milliseconds. This all helps to slash the 0-100km/h sprint time, which the Maserati GranTurismo MC Stradale covers in just 4.6 seconds. The Maserati GranTurismo MC Stradale is also the first Maserati in history to have a dedicated Race mode alongside the upgraded Auto and Sport modes in its simplified dashboard layout. With the removal of the rear seats, the Maserati GranTurismo MC Stradale becomes the first two-seat Maserati since the MC12. The GranTurismo MC Stradale has also benefited from new Brembo carbon-ceramic brakes, custom-developed Pirelli tyres, a unique suspension layout and rigid, light-weight, carbon-fibre race seats. The push for the Maserati GranTurismo MC Stradale came from existing Maserati customers who wanted a road-legal super sports car that looked and felt like the GT4 and Trofeo race cars. The Maserati GranTurismo MC Stradale also provides the latest step in the well-trodden path between Maserati's racing programs and its production road cars and, often, back again. In the 1990s, the Ghibli Open Cup race car gave birth to the Ghibli Cup and a decade later the Trofeo GranSport gave birth to the GranSport MC Victory. At the pinnacle of recent Maserati's road-to race story, the FIA GT-winning MC12 was developed directly from the MC12 Stradale. With a unique body design that is based around the requirements of the track, the Maserati GranTurismo MC Stradale has borrowed heavily from its racing car stablemates, the Maserati GranTurismo MC, both in the Trofeo and GT4 configurations. It has a new front splitter, bumper, bonnet, front guard panels, sills, exhausts and even a new rear bumper. To emphasize the harder-edged nature of the Maserati GranTurismo MC Stradale, Maserati even offers the car with an optional roll cage and a four-point racing harness. Yet it was also designed to be easy to drive, so it retains all the inherent ride, handling and stability benefits of the GranTurismo S's long wheelbase. It has the speed to be a road-legal racing car, yet it has the progressive handling to be considered an extremely usable super-sports car. 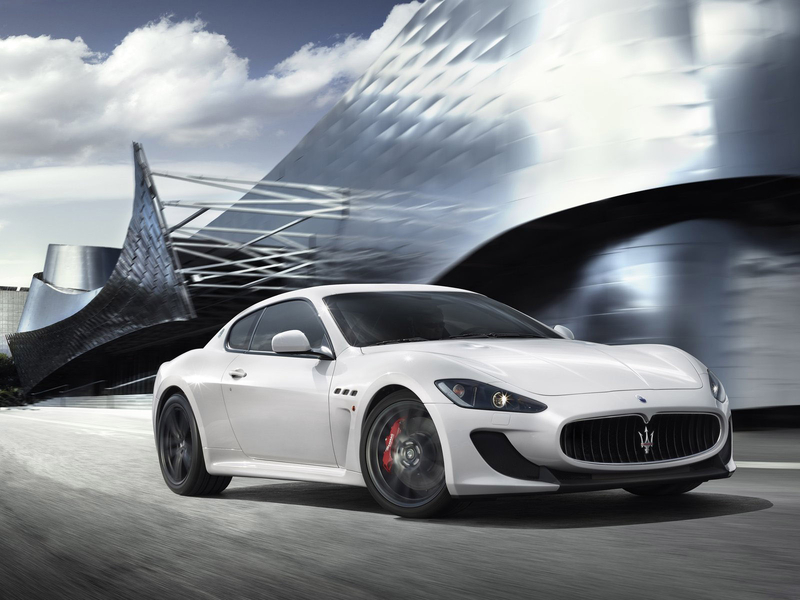 In this configuration, the Maserati GranTurismo MC Stradale will be on sale in February 2011 in all major markets, with the exceptions of the USA, Canada and Korea.